Once upon a time, the release of a new Final Fantasy game was an event. One of those childhood-defining moments when children, and more than a few adults, would skip school and work to line up outside the game store. But if Japanese school kids were to line up for every new Final Fantasy release as they famously used to for Dragon Quest games, they'd be in the sixth grade for the rest of their lives. For the series' 20th anniversary, Square-Enix plans to publish a ludicrous number of titles under the Final Fantasy brand in 2007 - Crisis Core, The Last Remnant, Dissidia - not forgetting another fistful of Dragon Quest titles, and another couple of Mana and Kingdom Hearts games for good measure. The titles are all still selling well, though how long before even the Japanese Final Fantasy fanatics tire of the constant updates is questionable. 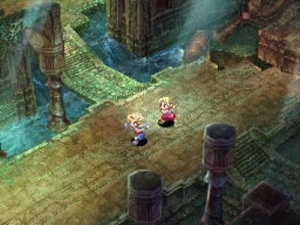 The last few months alone saw Revenant Wings, the original Final Fantasy (re-re-re-released on PSP) and Final Fantasy Tactics hit the special shelves dedicated to Square-Enix games in Japanese stores, which are starting to creak under the weight of the company's non-stop branded output. Despite the in-house competition, the first Final Fantasy XII spin-off, Revenant Wings, has nonetheless sold impressively. Given the dedication of its fans, that's hardly any indication of its quality, but Revenant Wings does mark another step in diversifying the series. Or, to put it in less kindly terms, Revenant Wings is nothing like what I expected it to be. There's a lesson here I should have learned long ago: Never buy a game based on the back of the case. Revenant Wings is basically a real-time strategy game dressed up as an RPG, and judging by the game case, Square would rather keep this a secret until you've thrown away the receipt. After that, it's 20 minutes of stop-start battles as the gameplay is explained with the kind of sledgehammer explanation screen that was thought to have died out with Zelda: Ocarina of Time. Use the monster generation gate! Summon a monster! Make a contract! Fire a spell! Even for an RPG old hand such as myself, it's a chore to get through, and as it takes the story a while to get going, we're left with very little idea why any of this actually matters. This is not helped by the fact the game's first few chapters are not only disorienting and confusing, they're also ridiculously easy. Success is as simple as summoning everyone you control and charging headlong in the nearest mass of enemies, occasionally setting your character to do a Gambit - an automatic special move - or fire a spell. For the first few hours, your team will come up on top nine times out of 10. Where, exactly, is the strategy? Revenant Wings is RTS-lite. You summon monsters, who follow your human leader in teams, and maneuver them around the board, casting spells as you do so. And, really, that's about the size of it. There's no mining for resources or occupying areas, which initially seems like an intriguing introduction. However, this reduces the strategy to a much too basic level, and "accessible" too often becomes "tediously easy," even for a RTS novice. Most missions have you eliminating the enemy leaders, very occasionally protecting and attacking bases, but as most of the time the enemy is content to sit back and let you attack first, the battles never reach the chin-stroking brilliance of Advance Wars: Dual Strike - a game that was also far better at explaining itself to novices. As far as DS strategy games go, it's way behind Advance Wars, both in ease of use and playability. Indeed, it's often a combination of some of the worst points of both RTS games and RPGs - the former's tedious management and the latter's tired scenarios. And like Children of Mana, it has an utterly pointless world map which could be just as easily served by a menu. However, Revenant Wings does prove itself to not be the disaster that Children of Mana was, and it hits a lot of the right buttons. The game's structure is perfect for portability, with short, staccato missions rarely taking more than a few minutes at a time; and both the theme and some of the features, such as the ability to tinker with your ship by adding decorations, recall the splendid Skies of Arcadia. The touch screen is well implemented, and the tight pen controls make controlling an RTS far easier than anything outside a PC. Revenant Wings's standout feature, as you might expect, is its looks. The graphics are a mix of real-time 3-D backgrounds and character sprites, an effect hardly seen since Mario Kart 64. It works - the game is pretty, and the animation on the sprite character is better than any 3-D on the DS could be - and the audio is as good as you would expect from Square. Ultimately, Revenant Wings forces you to think, not about its basic missions, but about how many gamers, like myself, bought Revenant Wings on the basis of its name alone. Certainly it sold a lot better than RTS games have any right to in Japan, and far better than its RTS stablemate, Heroes of Mana. But that success itself raises questions over how much longer gamers will be content to just sit back and soak up anything FF-branded, buy anything so long as it comes with hit points and level-ups. When former Nintendo Hiroshi Yamauchi attacked RPGs as being "silly and boring," it's hard to tell if that was his well-documented nutso half, or the far-seeing half that has made him exceptionally wealthy. 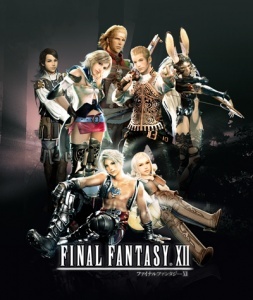 I know far more people who bought Final Fantasy XII than ever finished it. And while Revenant Wings is occasionally interesting, playing it to the end proved to be more a challenge than I was able for. Perhaps, then, it makes sense for Square-Enix to use their characters to expand into other areas, be they fighting games or 3-D Devil May Cry-alikes. But in doing so, they run the risk of diluting their greatest resource: the brand names gamers trust to deliver new experiences. Maybe it's just nostalgia, but one can't escape the feeling that the latest Final Fantasy games are nowhere near as fantastical nor as final as they used to be.